Today marks the release of 2 bands that are pretty close to my heart. 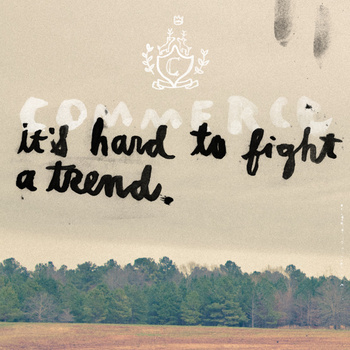 One is my band, Commerce, that released an EP titled “It’s Hard To Fight A Trend” (sorta a small tribute in title at least to Pedro the Lion’s “It’s Hard To Find A Friend”). Our new EP has a couple new mixes of some songs off our last LP, 2 covers, and a remix by Germany Germany. You can hear our interpretation of “When You Were Young” by The Killers and “A Long December” by Counting Crows and all the other newness here right now. Also today marks the release of a friend that I have built this nice little relationship with by connecting on twitter. I suggest you do the same with him here. 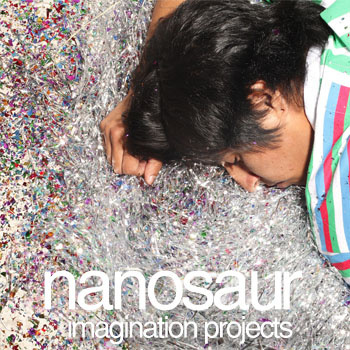 His name is Michael Solorzano and he releases music under the name Nanosaur. He’s currently on the latest Littlest Sounds April Comp. and makes incredibly wonderful, joyful music that just beats with that California blood of his. There is this certain dance-quality that is conveyed through his upbeat songs that just makes me smile. You can and should go buy his debut full-length here.